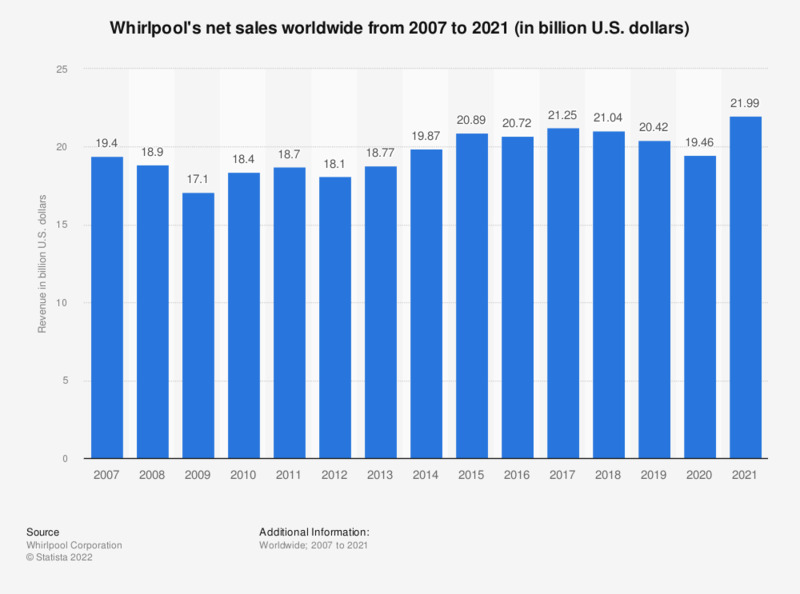 This statistic shows the total revenue generated by Whirlpool from 2007 to 2018. In 2018, Whirlpool achieved revenue of 21.04 billion U.S. dollars. Everything On "Whirlpool" in One Document: Edited and Divided into Handy Chapters. Including Detailed References.